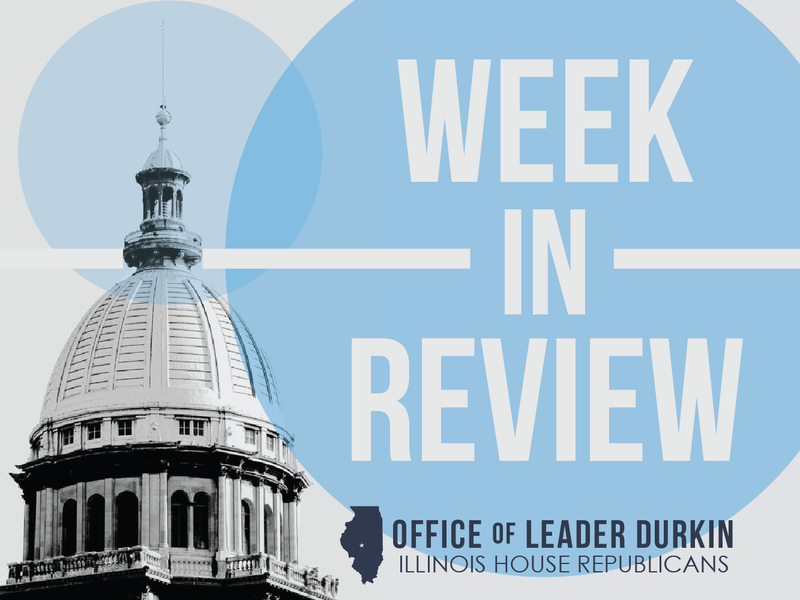 Enacting the Rauner Administration and Republican leaders 2018 budget proposals, according to Harry, would have saved the state enough to balance this year’s budget. The plan proposed savings through reforms in government group health insurance programs ($600 million); Medicaid ($525 million); and issuing revenue rather than general obligation bonds to pay down the state’s bill backlog ($60 million in interest this year, and $390 million over the 12-year life of the bond). Harry said nearly $700 million in pension reform savings were part of the governor’s plan, including a call to end the practice of near-retirement salary spiking. “Balancing the budget and enacting reforms would let us grow the economy, control spending, pay down our debt, and invest in jobs,” Harry said. Tax revolt wins: Cook County Board repeals soda pop tax. The highly controversial levy imposed in Illinois’ most populated county added 1.0 cent per ounce to the retail cost of many popular beverages. The “soda pop tax,” disliked by many residents of the Chicago area, added an additional burden to the purchasers of most packaged sweetened drinks. All of the retail purchasers of liable beverages in Cook County were required to pay the additional tax, even if the beverage was being purchased in a suburban Cook County location outside the city of Chicago. The sweetened beverage tax was imposed in addition to the state, RTA, county, and city sales taxes already imposed on beverages purchased in Cook County. After a public outcry, the Cook County Board repealed the beverage tax on Wednesday, October 11. A tax revolt, led by Republican House Representative Michael McAuliffe, was credited with a rare victory for taxpayers. McAuliffe was the lead sponsor of the first bill to call for the repeal of the soda pop tax and force the Cook County Board to find other ways to balance their troubled budget. McAuliffe was joined by 17 House Republican co-sponsors of HB 4082. Not surprisingly, Speaker Madigan did not let the Republican bill out of the House Rules Committee, which he controls. However, pressure from legislators, joined with press coverage and opinion poll results, showed supporters of the failed levy that they were tied to a loser. 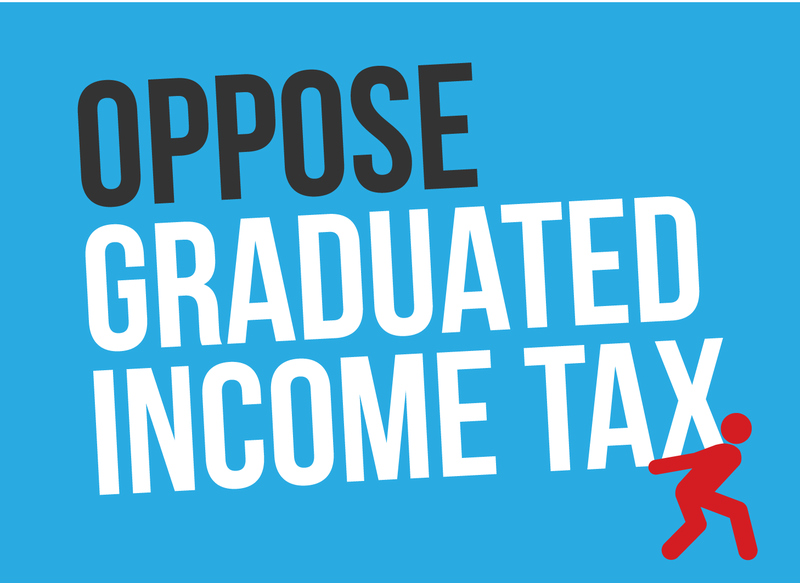 In the end, the Cook County Board flip-flopped and repealed the unpopular new tax. The sweetened beverage tax will end on December 1, 2017. Illinois praised by advocates for laws that favor welfare of animals. In a rating published in 2017, the Animal Legal Defense Fund ranked Illinois #1 among the 50 states in terms of protecting the welfare of animals, including companion animals. To answer one frequently-asked question in Illinois, the laws of our State include provisions that forbid confining any animal in a cold or overheated motor vehicle. An additional provision of the same law authorizes a law enforcement officer to use any reasonable means to enter a vehicle to rescue a distressed companion animal. Illinois law also forbids cruel treatment, aggravated cruelty, animal torture, and the depiction of cruelty toward animals. Illinois veterinarians are mandated reporters of acts of aggravated cruelty toward animals or the torture of animals. Illinois animal-welfare laws, enacted by the General Assembly, are concentrated in the Humane Care for Animals Act, 510 ILCS 70, within the Illinois Compiled Statues. In a recent St. Louis Public radio report, Illinois was praised for enacting laws that have reduced cruelty to animals, relative to the animal-cruelty laws of neighboring states such as Kentucky and Missouri. Rochelle pursues pro-growth path. The Northern Illinois community of Rochelle is located where two interstates (Interstate 39 and Interstate 88) come together with the main Chicago-Omaha line of the Union Pacific railroad. In October 2017, Rochelle was called a “boom town” by the Better Government Association (BGA). The BGA praises the local economic development team’s public-private partnership and its ability to create jobs. Led by the Greater Rochelle Economic Development Corporation (GREDCO), the Rochelle area has created net new jobs in goods distribution. Warehouses in Rochelle’s regional industrial parks process goods such as frozen foods. The products are brought in by truck or train to the warehouses. In Rochelle and in comparable Illinois communities, warehouses are more than just storage spaces with roofs. Container goods from all over the world are moved through breakbulk processing and sorted for further transportation. This work is often highly automated, and Rochelle has been able to expand its skilled workforce to move towards specialized manufacturing solutions that concentrate on the automated assembly of goods made available at its local warehouses. As with other Downstate communities, Rochelle’s former commodity-oriented manufacturing facilities have downsized or left town. The locality’s move toward specialty manufacturing has led to active partnership with the local community college, Kishwaukee College. Rated by “CNN Money” as the 11th best community college in the U.S., Kishwaukee has sharply expanded its offerings that cooperate with the local business community. Kishwaukee’s current syllabus includes courses aimed at specialty certification for a recognized trade or oriented towards the needs of a specific facility. Rochelle is represented in Springfield by House Republican Rep. Tom Demmer. Bourne, Severin appointed to Illinois coal consumption task force. 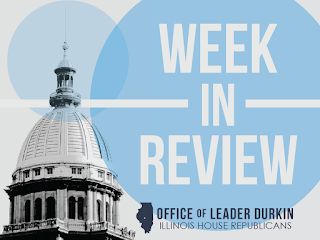 House Leader Jim Durkin announced that he is appointing Representative Avery Bourne and Representative Dave Severin to fill seats in a recently established task force that seeks to increase the use of Illinois coal. A new law, sponsored by Bourne and Severin, created the task force to study the costs and benefits of using the latest scrubber technology to allow Illinois coal mined in our home state to be burned here as well. This newly formed bipartisan task force’s primary responsibility is to study the costs and benefits of the construction of new stacks or conversion of existing stacks at coal-fired power plants with flue gas desulfurization scrubber technology. The task force’s work begins immediately and they will be reporting their findings and recommendations to the General Assembly. Governor’s task force holding hearings on crisis. 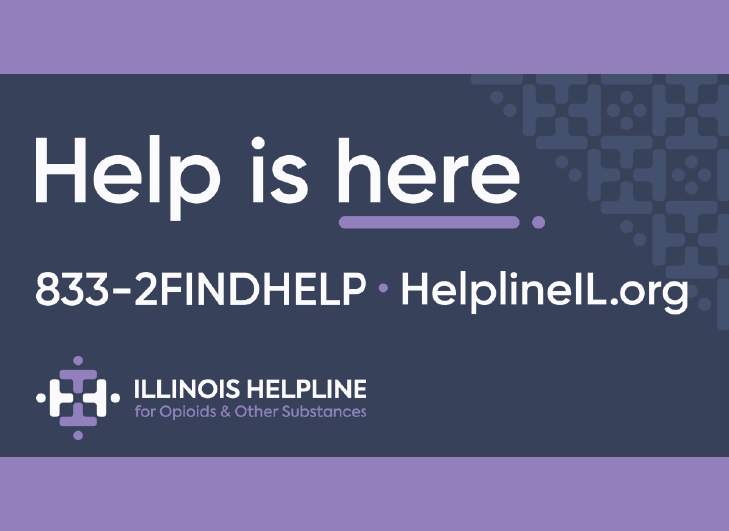 The Opioid Overdose Prevention and Intervention Task Force, created in September, has begun to hold a series of regional hearings on the opioid crisis in Illinois. The Task Force is co-chaired by Lieutenant Governor Evelyn Sanguinetti and Dr. Nirav Shah, director of the Illinois Department of Public Health. The task force is seeking ideas on how to reduce the death toll from opioid overdoses in Illinois, a number that has reached 1,900 per year. The General Assembly and the State agency that regulates pharmacies have already taken a series of steps to increase the availability of the overdose antagonist Naloxone, which can be administered in a wide variety of circumstances to patients suffering from a crisis. The Task Force held its kickoff hearing in Chicago, and was scheduled to hold hearings this week in Champaign and Mount Vernon. Witnesses will include front-line law enforcement and social worker personnel who will testify to the effects of opioid addiction on patients and families. The panel’s hearing schedule will help them listen to ideas and make recommendations for bills to be considered by the General Assembly during the 2018 legislative session. Snake Road in far southern Illinois closes to mark annual reptilian migration. Snake Road, a 2.5-mile-long road in the LaRue-Pine Hills Ecological Area within Shawnee Natural Forest, is located athwart the annual migration route of one of Illinois’ largest remaining populations of large snakes and amphibians. The cold-blooded animals circle back and forth between Mississippi River wetlands and bottomlands during summertime, and sun-kissed uplands and bluffs in winter. Snake Road is closed twice a year to allow the animals to hop or slither to their summer or winter home. While Union County residents used to dislike snakes, many neighbors of Snake Road now see the reptiles as neighbors in their local heritage. Whenever Snake Road closes, LaRue-Pine Hills draws energetic outdoorsmen who must hike in to visit the natural area. Located southwest of Carbondale, Illinois, Snake Road will be closed for four weeks, until October 30.